Clearing trees and bush from large areas of land is not a job for the faint hearted. It’s not simply a case of felling everything in sight and walking away. Clearing land means providing a completely blank canvas or leaving and protecting specific trees for you to begin your planned project. This requires a tenacious team with some serious equipment. 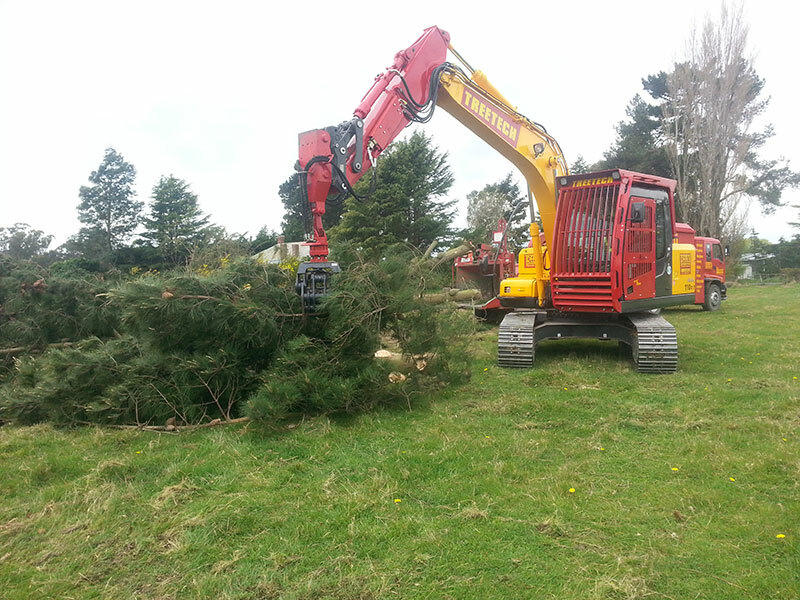 Our forestry trained crews are fully equipped with the necessary skills and machinery to clear land on any scale. From tree felling, stump grinding and chipping to tree removal, relocation and planting, our arborist crews can provide you with that blank canvas safely and efficiently. Plus we have the vehicles for removing all green waste from the site that can’t immediately be used. And because we care deeply for our environment, everything we do takes into consideration the possible effects our actions could have. Our equipment and fleet are new and kept well maintained, we recycle all green waste and we use biodegradable chainsaw oil when working around delicate waterways. When it comes to removing any green waste from the site that can’t immediately be used, we have the ability to cost effectively handle it on any scale. Whether you’re developing a new subdivision or building a new home, you can take advantage of our consultancy services to assess and quote your land clearing work. And consider our full landscaping and after care services once your project has advanced to that stage. Contact us today for site clearing work anywhere in the Canterbury or Wellington areas.